March 17 2008 post (one-year blog anniversary post! ): published in December of 2006, this study was co-authored by Prof. Bharat Aggarwal, who gave me a little push in the right direction by encouraging me to try curcumin (January 2006) and has been helpful and supportive ever since. I will be forever grateful to him. Even though there is no way I could ever pay him back, today’s discussion is my itsy bitsy tribute to this wonderful researcher, whom I hope to meet in person someday. Something I have read over and over again is mentioned in the abstract and discussed more in depth in the first part of the full study, which, by the way, Sherlock sent to me (eh, come sempre, grazie! ): “In spite of the billions of dollars spent on cancer research and the availability of the best health care in the world, the reason for such a high incidence of cancer in the United States is unclear. Lifestyle has been named as one of the major contributors to the incidence of cancer. The higher incidence of cancer among immigrants from the Eastern world to the Western world further emphasizes the role of lifestyle.” I have read stories about populations where the incidence of cancer and other ailments is very low; but when members of these communities immigrate to the Western world, they begin developing cancer (etc.). This doesn’t sound like mere coincidence to me. The study reminds us that the understanding of cancer at the molecular base is still very limited. That means that matters such as cancer prevention and treatment are “still lagging behind.” Good point! Health is “the balanced coordination of body, mind and consciousness.” I have always been convinced that our mental state has a lot to do with how well we respond to treatments of any kind. My mother was told by a friend of hers, a nurse who worked in a U.S. oncology unit, that she could tell which cancer patients would do well just by looking at them. She was always right, apparently. Ayurveda and cancer. “According to ayurveda, cancer results from lifestyle errors, such as unhealthy foods, poor hygiene, or poor behavior, or from physical trauma, all leading to imbalances of vata, pitta, and kapha, resulting in injury to the inner layer of the dermis (rohini, the sixth layer of the skin) and the formation of abnormal branches of blood vessels.” This part is very detailed and interesting, but too long to post about here. I would be glad, though, to forward the full study to anyone who requests it. 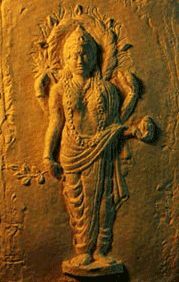 In the 7th century, “surgery was considered one of the best methods of treatment for arbuda.” Arbuda is “definite malignancy.” Herbal treatments against cancer “were beneficial only in the beginning stage," but that also depended on the type of tumour involved. The surgical removal of tumours is described in detail…I must say, it’s really incredible to read about such careful sterile practises being used so many centuries ago. I was surprised and very impressed. The review draws similarities between ancient Ayurvedic and modern Western cancer treatments. Although the different molecular targets “were not known 5,000 years ago, the components of herbs used at that time now appear to target these molecules.” Aha! The review provides a Table that couples the modern targets of cancer treatment (such as NF-kappa B and COX-2) with ancient herbal remedies. Truly extraordinary. I must have a closer look at this list of herbs as soon as possible. Curcuma longa, of course, is everywhere. The researchers state that the “Development of new synergistic anticancer agents based on these herbs would be beneficial for modern treatment modalities.” Indeed. “The use of Vinca rosea in the treatment of cancer is very well described in ayurveda,” and the modern chemotherapy drug vincristine derives from the plant Vinca rosea, or periwinkle. Just one example. Differences between modern science and Ayurveda: “Although modern science believes in using a single chemical entity for a particular cancer (eg, paclitaxel, vincristine, etoposide), ayurvedic treatment involves the use of whole plant extracts. It is possible that enhanced toxic effects associated with modern medicine are due to a lack of other components of the plant. Ayurveda usually recommends the use of several plant extracts in combination, which is somewhat similar to the combination of various chemical entities that are currently used for the treatment of cancer.” How about that? Cancer treatment side effects. The review contains advice on how to “alleviate some of the common side effects associated with modern medical treatment of cancer;” even stress and depression, and how to diminish cancer cachexia: “the ayurvedic regimen rejuvenates the body tissues, tones up the body systems, and acts as a tonic to the body against cancer cachexia.” It also lists herbs that can protect us from the harmful effects of radiation. I already knew about curcumin, but not about ginger, e.g. Indeed, this is so true, and it illustrates the sort of opposition I have run into with my own cancer treatment, for instance at the recent conference in Calenzano, where I had a bit of a discussion with the cancer specialist sitting next to me. Will these close-minded attitudes ever change? I hope so. Blog reader Old Bill left me a good quote recently: “What’s wrong with an anecdote if it’s true?” (Beata Bishop). Exactly. And, even more to the point: what’s wrong with hundreds of anecdotes? That is my hope, too. Ayurveda e cancro. 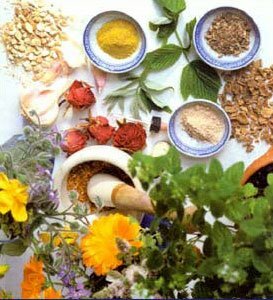 “Secondo l’Ayurveda, risultati cancro da errori di stile di vita, come i cibi non sani, scarsa igiene, o comportamenti poveri, o da traumi fisici, tutto porta a squilibri di vata, pitta e kapha, causando lesioni allo strato interno del derma (Rohini, il sesto strato della pelle) e la formazione di rami anormale dei vasi sanguigni. “Questa parte è molto dettagliata e interessante, ma troppo lungo per postare qui. Sarei contento, però, di trasmettere lo studio completo a chiunque ne faccia richiesta.